Seeing as our public healthcare is a bit of a mess right now, it may be beneficial to take out a health insurance policy. Mainly, this is because your insurance provider can help with the costs of your massive medical bills. They may cover you up to a certain amount, which provides you with a nice little safety blanket. It may transpire that your provider covers the total cost of your bill, which completely takes any stress out of your hands. But, even if they only cover a portion, it should at least lighten the load on your personal finances. A massive medical bill is turned into a smaller, more manageable, medical bill thanks to your insurance. There are many cases where you might end up in the hospital with a serious injury as the result of an accident. Maybe you got injured at work or ended up in a car accident? The fact is, any personal injury lawyer will tell you that you can claim compensation if you’re injured, and the cause of the injury was someone else’s fault. If this applies to your situation, you need to find a lawyer and start working on a claim. Hopefully, you can gain compensation which will cover the cost of your massive medical bill, leaving you in a much more comfortable position. Personal loans are there to help you in times of need. If you feel as though you don’t have the funds to pay your medical bill in full, you may need a loan to help cover the costs. So, head on down to your bank and speak to someone there about getting a personal loan. They’ll ask all sorts of questions and do a credit check to ensure you’re eligible for a loan. In a situation like this, when you’re getting a loan to pay for medical bills, they will usually approve it quite quickly. Then, you have more freedom to pay the loan back, as the bank lets you pay in installments while the hospital demands the same amount of money all at one time. Nobody likes asking others for help, particularly when the help you need comes in the form of money. However, if you’re struggling to pay your bills and need an extra bit of cash, it might be worth asking those closest to you. Your family may be willing to help you out without needing anything in return. After all, they care for you, and this is a medical bill, so it’s important. 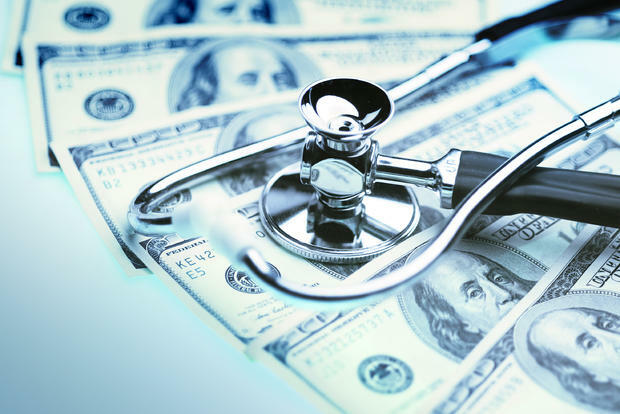 Any of these ideas could help you pay for your expensive medical bills. You’ve already suffered enough being in the hospital, don’t let your finances suffer as well.